The 10th Annual Mercer County Economic Summit, to be held at the Conference Center at Mercer County Community College on Feb 24th, seeks to bring together key local and regional stakeholders to discuss technology trends,their influence on our local, state and national economy, and strategies on how businesses can move forward and prosper. 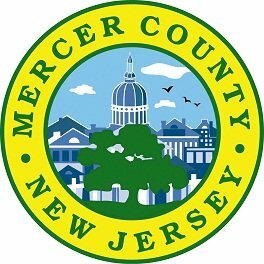 Mercer County Executive Brian M. Hughes will kick off the afternoon with his “Mercer County Economic Development Report,” which will focus on what makes Mercer County an ideal home for businesses to grow. Simon Nynens, CEO, Wayside Technologies will deliver the keynote address, entitled “Embracing Technology Trends to Retain Your Customers,” which will explore the immense advantages of planning ahead in order to benefit from technology trends. Herb Taylor, Vice President and Corporate Secretary of the Federal Reserve Bank in Philadelphia will return to give national and local economic updates. The Summit is a partnership between Mercer County Executive Brian M. Hughes, the Mercer County Board of Chosen Freeholders, the County Office of Economic Development & Sustainability and the Princeton Regional Chamber of Commerce. The New Jersey Tech Council has also partnered with the Princeton Regional Chamber of Commerce to bring an informative group of speakers and presenters to this event. The Mercer County Economic Summit will take place from 1:30 p.m. to 6:00 p.m. on February 24th at the Conference Center at Mercer County Community College. Tickets and sponsorship packages are available.